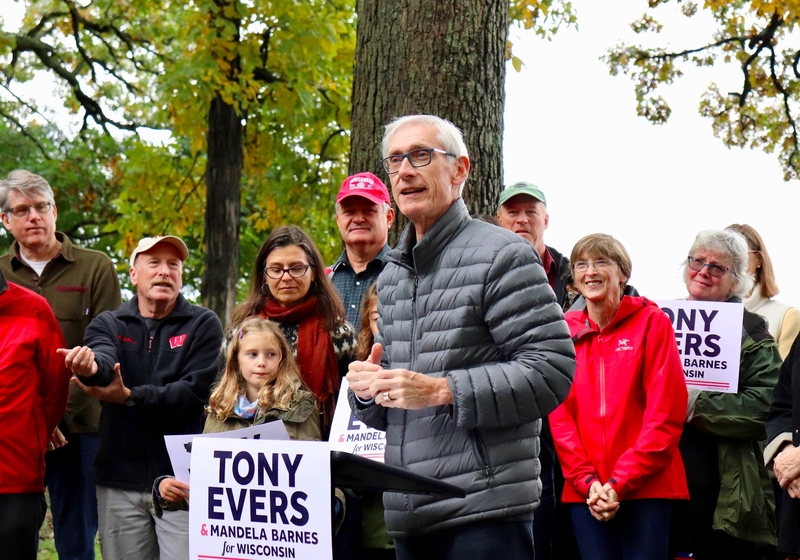 These are the easy days for Tony Evers. Publicly, that is. For starters, the state and national media are fully invested in the narrative that Republicans carried out a coup in this month’s extraordinary session. Expect a steady stream of stories in coming days, weeks, and months about the “sweeping” effort, with “little public input,” in the “early hours,” to “restrain” the Governor-elect. Eschewing any pretense of objectivity, the Journal Sentinel has gone so far as to post contact information to help a supposedly outraged citizenry connect with legislators and Governor Scott Walker. While I’ve not read all the J-S coverage, one finds no detached journalism describing the bills that were sent to Governor Walker. Evers and Company is milking this for all it’s worth. Understandably so. One assumes the next Marquette Poll will validate the near-term political benefit. What’s uncertain is the lasting political impact. Will 2020 legislative elections be shaped by the current narrative? Even sooner, will Lisa Neubauer be able to rope Brian Hagedorn into the discussion in the race for the state Supreme Court? What is clear is that the media will do its “best” to help keep the story alive. A different story is quietly playing out as Evers continues his transition honeymoon. Namely, Evers and his team will face the reality of governing after being sworn in next month. The salad days of announcing “policy advisory committees” will be over. Bemoaning the alleged coup at some point will become stale. Most importantly, hearings to “build the people’s budget” will fade. The reality of preparing an actual budget for 2019-21 will surface. In terms of the general fund budget, the happy Republican campaign talk of “eliminated” deficits is at odds with the reality of a an actual structural deficit. While less than the deficit inherited by Walker in 2011, it is real. As the nonpartisan Wisconsin Policy Forum (WPF) recently pointed out, significant growth in tax collections is needed in the next two years to maintain high K-12 school aids and to finance a very modest (1 percent) growth in most state programs. Governor-elect Evers recently doubled down on his pledge to include an undefined “middle class tax cut” in his budget. State Senator Dale Kooyenga wrote recently that only in a world of “Madison Math” would one view the WPF report with alarm. He’s got a point when it comes to the impact on state revenue of recent economic growth. However, the economy runs in cycles. The next inevitable recession will take a toll. And then there’s transportation, where eight years of borrowing and basically flat gas tax revenue have put the state in a hole. It does not have the money, under current law, to undertake the unavoidable need to rebuild state freeways and prevent a decline in the condition of outstate roads. The hard reality of crunching numbers is going on now among Evers’ financial team, which includes key players with practical state budget experience. A veto of every single bill just sent to Governor Walker — which he won’t do — would not significantly change that reality. Evers and company would be wise to use the political theater of their upcoming “people’s budget” hearings to get people ready for the financial crunch he faces. Republican’s make the messes and Democrats clean them up?! We’ve heard that song before. I can hear the cries of “Deficits, deficits, taxes, taxes!” from the Republicans already.